Acceptable. Used-Acceptable. Paperback. Overall good condition with some wear. Has a remainder mark. 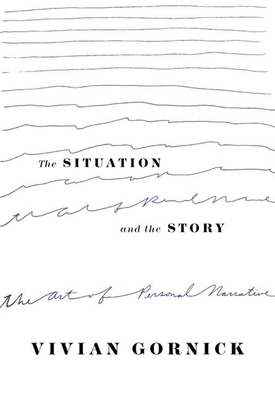 Gornick shows us how various essayists and memoirists, from classic writers such as Thomas De Quincey to Joan Didion and James Baldwin, work out the idea of self into a story that shapes experience, transforms event, and delivers wisdom. It's not so much what has happened to the writers, but rather what they make of what happened. This is not a "how to" write a memoir, but a close analysis of each writer's voice and "style" as it's revealed in how they each try to come to grips with who they are. Gornick's insights take one's breath away.